Sustainable Gardening – What is it? What is sustainable gardening? This is the dictionary definition of sustainable. Pertaining to a system that maintains its own viability by using techniques that allow for continual reuse: sustainable agriculture. Aquaculture is a sustainable alternative to overfishing. Able to be maintained or kept going, as an action or process: a sustainable negotiation between the two countries. Able to be confirmed or upheld: a sustainable decision. Able to be supported as with the basic necessities or sufficient funds: a sustainable life. I recently watched the documentary “Fresh” on Netflix. It was amazing how much we have gone against the grain of the way things “used to be”, to modernized farming in all areas, and have created an unsustainable culture. Our animals have disease because of the way they are cared for and what they are fed and our soils are being depleted of any and all nutrients. Tomatoes grown in hay bales. It has been 2 years since I was introduced to the documentary “Back to Eden“. This film is rather long, almost 1 1/2 hours but it is well worth the time. Paul Gautschi will introduce you to gardening the way Yehovah intended nature to do it. He grows a fabulous garden without tilling or water. He plants the same plants in the same area year after year and uses no fertilizer or chemicals. 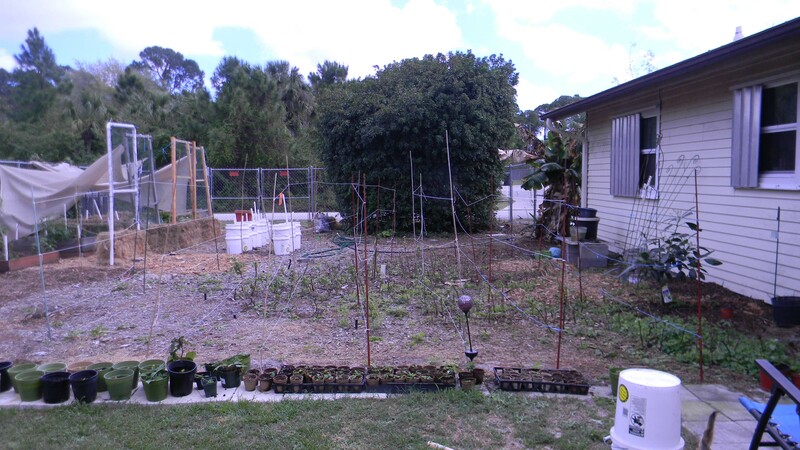 Since I live in Florida I have had to tweak things a bit and have recently been gardening some in hay bales. This year I used my old hay to fill my raised beds and build some hay raised beds. I guess that really can be considered sustainable gardening too. 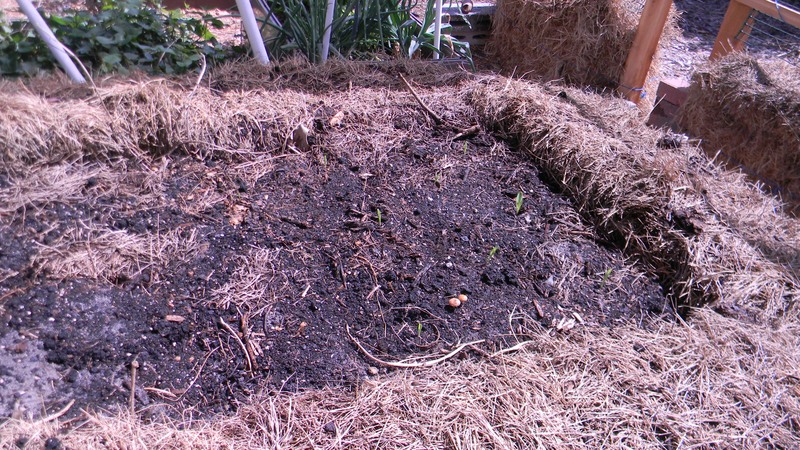 Corn in a raised hay bed. Raised bed. 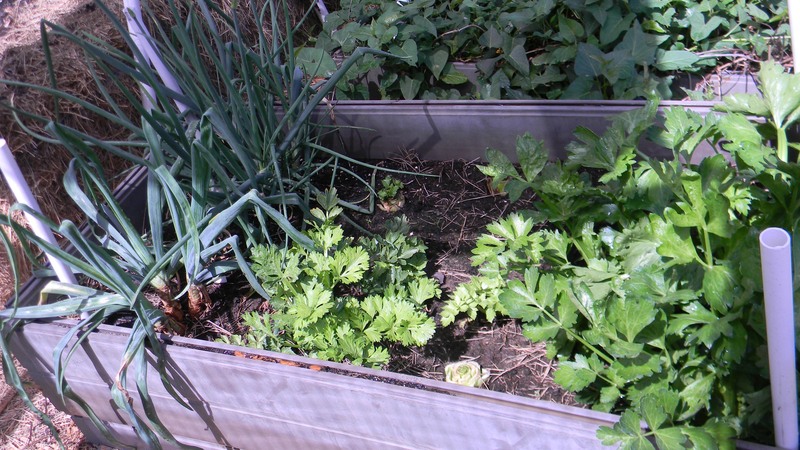 Growing kitchen scraps of celery and onions. I have had to replenish some of my mulch and have added new mulched areas. The other day I was digging up a weed in the mulched area and found a red wiggler. Guess that means this method is working in my nothing but sand soil. Have you or someone you know tried this type of sustainable gardening? I would really like to hear how it is going. 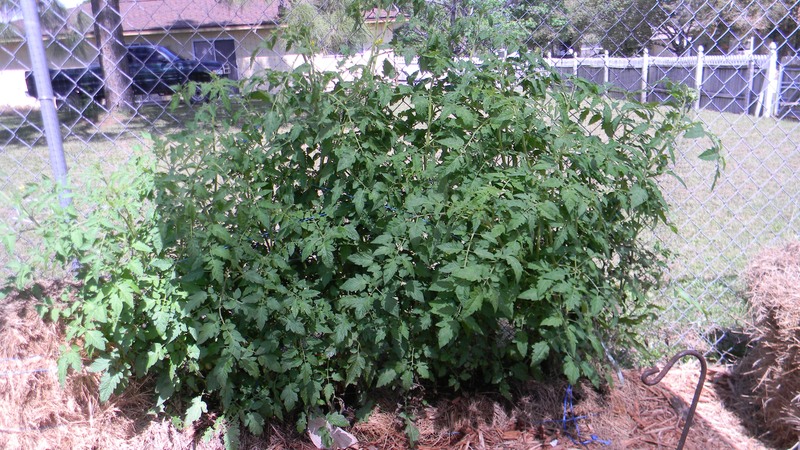 This entry was posted in Florida Gardening, Sustainable gardening and tagged florida gardening, sustainable gardening. Bookmark the permalink.